Maine comprises an area of over 30,000 square miles, which is nearly as large as the other five New England States combined. With one interstate running North and South that doesn’t even completely go to the end of the state it is as far to drive to JFK airport in New York from Maine's largest city, Portland, as it is to Madawaska in the northern part of the state. The average winter temperature in Northern Maine is 10 degrees with many a day below zero and an average of over 108” of snow. With 3500 miles of rugged coastline, 17 million acres of majestic pine forests and a low population density, our beautiful state can be difficult and costly to service. 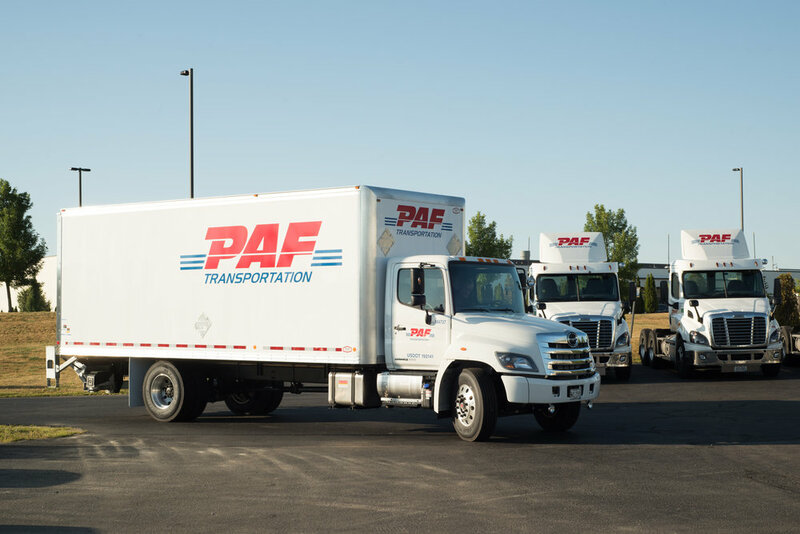 At PAF you get the benefit of 60 years of local Maine experience to help you get your freight delivered in a cost-effective manner. Next day Boston-Maine and Maine-Maine service for most points. Cartage, interline & contract agent services. Straight truck, liftgate and other special services available. Expedited and time specific services available. All drivers have TSA training and STA numbers. All drivers are HazMat certified.